This is a Muster floor-mount laundry tub in the color white. It is produced with Muster's proprietary structural thermoplastic resins and innovative cellular molding process creating extreme strength and durability with a built-in scrub board, angled for easy access. 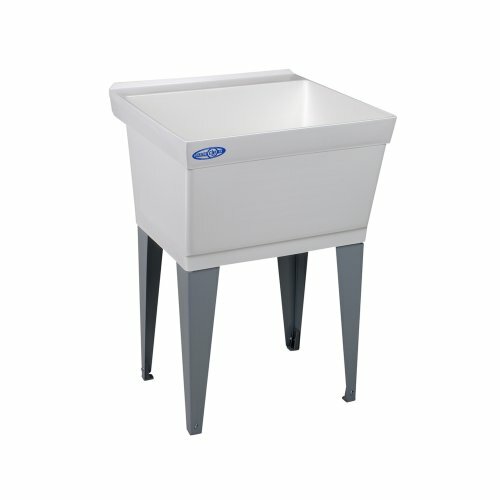 This laundry tub features a 19 gallon capacity tub with smooth surface and includes heavy gauge steel legs with adjustable levelers. Included is a leak-proof, integrally molded-in drain with stopper. Connects to standard 1-1/2" P or S trap.